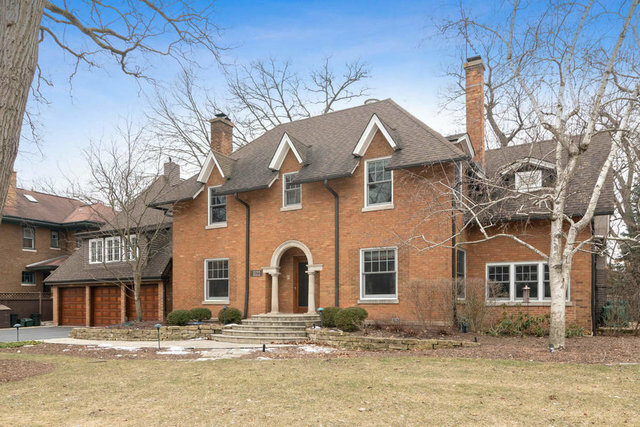 Gracious center entrance brick home located on a half acre lot in the Northwoods section of River Forest.The open floor plan meets today's style of living. Huge, chef's kitchen opens to bright & spacious family room. The kitchen features high-end appliances, large center island & casual dining space. There is also a formal dining room. The family room has vaulted ceiling, bands of windows and gas fireplace. French doors open to beautifully landscaped, park-like yard. There is also a separate fenced dog run.The master bedroom is located in a separate wing of the house with lots of closets and private spa bath. The first floor guest suite with full bath is currently being used as office space. There is an additional office also located on the first floor. You will love the attached, heated, three-car garage.Gorgeous family home - move in ready. Great schools - easy commute.